These terms and conditions govern your use of www.soireesocietyni.co.uk (or such other URL that we may use to provide the Service from time to time, including but not limited to www.soireesocietyni.co.uk), and your membership of our matchmaking service or attendance at events of Soiree Society. Please read these terms and conditions and ensure that you have understood them. When using particular Soiree Society services or other items provided by Soiree Society, you will be subject to any posted guidelines or rules applicable to such services which may be posted on the Website from time to time. All such guidelines or rules are hereby incorporated by reference into these terms and conditions. You have not been subject to any injunction or any order to pay damages under the Protection from Harassment Act 1997 or the Sexual Offences Act 2003 (or under any statutory enactment replacing and/or amending such Acts). If you are not able or not willing to give the warranties and representations set out above then you must not apply to become a Member or attend an Event. If you are applying to become a member or are attending an event, you agree to be bound by this agreement. This agreement (as amended by us from time to time) shall apply to the exclusion of any other terms or conditions and you agree to abide by it. The website is provided for the personal use of individuals only and you may not use the website in connection with any commercial venture. Unless stated otherwise, any new features that alters or enhances the services, including the release of new services, shall be subject to this agreement. We may add, delete or change some or all of the services provided as part of the services at any time. We shall have the right at our option to refuse to grant applications for membership at any time without explanation or mark them as deferred. No application for membership shall be deemed to be accepted by us until you have received confirmation of your membership from us by e-mail. Our employees, sub-contractors and/or agents are not authorised to make any representations or warranties concerning the services unless confirmed by us in writing. You shall pay the price to us under this agreement by the means of payment specified on the website. In exchange for Introduction & Matchmaking Services, the Client agrees to pay the Fee as outlined in the agreement by Cash/Cheque/Paypal, Debit/Credit card or Bank Transfer. This is to be paid in full before any service is provided by the Company. Pre-contract information will be provided to the Client in a durable medium, i.e. by email or paper. Cancellation rights apply to of-premises or distance contracts only (i.e. when the contract is not signed at our business premises). In this case you have 14 days in which to change your mind from date of signing/accepting and to receive a full refund. A ‘Right to Cancel’ form will be included in your contract information. Please note that no work will be carried out on your behalf until the expiration of the 14 day cancellation period. Should you wish us to commence within the 14 day cancellation period you may give us your explicit consent in writing. In this case, should you later cancel within the cancellation period, you will have to pay for any service delivered until the point you cancel. You must not provide any false information to us. In the event that we have reason to suspect that you have provided such false information, we reserve the right to request proof of the suspected false information. If you fail to provide such proof requested by us within 7 days, we reserve the right to terminate your membership. You are solely responsible for any content that you provide through on our website or social media or that you transmit to other members by any means. We will use our reasonable endeavours to control the content posted on the website or social media but do not guarantee the accuracy, integrity or quality of the content. If you arrange any meetings with any person through your use of the services of Soiree Society then you do so at your own risk. You should take reasonable precautions to ensure your safety. You must notify us in writing immediately if you become aware of any inappropriate behaviour in connection with the services..
eject you from an event. On purchase of a ticket to an event through the website, you will receive an e-mail from us acknowledging that we have received your payment and your place on the event. We shall use reasonable endeavours to ensure that events are conducted on the date specified on our website, but we shall not be liable for any losses, liabilities, costs or expenses incurred by you should we change the date and/or time of the event. We cannot verify the personal details of those participating in an event. It is up to you to verify personal information to your own satisfaction. Please approach any contact with participants at one of our events with the same caution you would undertake when meeting other people you do not know. When booking an event, you are required to supply a mobile phone number. If we are forced to cancel an event due to circumstances beyond our control, we will NOT take any responsibility for members who arrive at the event, and have supplied incorrect contact details. Cancellation by you – Payments are non-refundable. be knowingly defamatory, disparaging of or derogatory to any other member. The Member ID and password, if allocated, are personal to you and are not transferable. You are responsible for keeping them secure and for any use of the services including any activities by anyone using Your Member ID and/or password. You should protect against unauthorised access to your computer. Ensure that you sign off when you finish using a shared computer. You must notify us immediately of any apparent breach of security such as loss, theft, or unauthorised disclosure or use of Your Member ID or password, if allocated, and in such cases you should immediately amend your password using the services. Soirée Society NI are registered with the Information Commissioners Office, ICO Registration Number ZA101769. 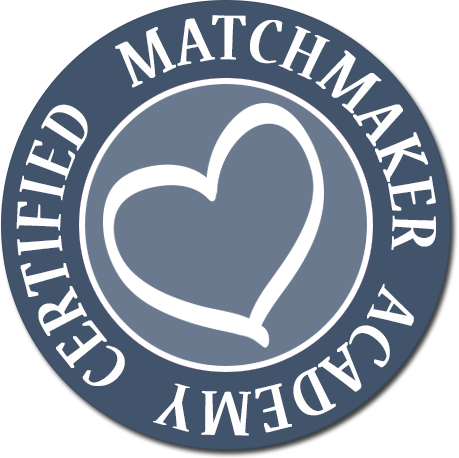 In the case of our Matchmaking Service, whether you are a full paying client or a Pool client, you agree to us issuing a personal profile that will be provided without your name together with your photograph as this is essential to providing the service. All parties agree that all information furnished to him/her, or to which the Client has access to under an agreement, shall be kept confidential and shall remain the proprietary information and exclusive property of the Company. Your information will not be shared with any other party unless instructed by you in writing. The services are provided in their current form and we do not guarantee or warrant that the services or any element of the services will meet your requirements, purpose and/or expectations. We do not guarantee or warrant that any of the content provided in or via the services is accurate or reliable. You rely on it at your own risk. Due to the nature of the internet, we do not provide any warranty or guarantee in respect of the results, availability, and/or uninterrupted use of the services but we will use our reasonable endeavours to rectify serious faults as soon as reasonably practicable. We reserve the right to make changes to the services provided that they do not have a material adverse effect on the quality of the services. We reserve the right to suspend the services without notice for repair, maintenance or other technical reasons. As between you and us, All Intellectual Property Rights in connection with the services shall be owned by us absolutely. removing, modifying, altering or using any intellectual property in connection with the services and doing anything which may be seen to take unfair advantage of the reputation and goodwill of the website or could be considered an infringement of any of the Intellectual Property Rights owned and/or licensed to us without first obtaining the written permission of the owner of the intellectual property. We may link to third party websites. We do not endorse or recommend such websites and you must satisfy yourself that any goods or services referred to thereon are suitable for your requirements. These are provided solely as a convenience to you and not as an endorsement by us of the contents on such third party websites. As we have no control over such external sites and resources, you acknowledge and agree that we are not responsible for the availability of such external sites or resources, and do not endorse and are not responsible or liable for any content, advertising, products, services or other materials on or available from such external sites or resources. You acknowledge and agree that we shall not be responsible or liable, directly or indirectly, for any damage or loss caused or alleged to be caused by or in connection with use of or reliance on any such content, goods or services available on or through any such external sites or resources. If you decide to access linked third party websites, you do so at your own risk. Any concerns regarding any external link should be directed to its respective site administrator or web master. for any delay in performance of this service and/or any other matters to the extent that such events and/or matters are due to any events outside our reasonable control including but not limited to acts of God, war, flood, fire, labour disputes, strikes, lock-outs, riots, civil commotion, malicious damage, explosion, terrorism, governmental actions and any other similar events. You shall give us a reasonable opportunity to remedy any matter for which we are liable before you incur any costs and/or expenses in remedying the matter yourself. If you do not do so we shall have no liability to you. Upon giving you notice by email, we may at any time and without cause, terminate this agreement with you, deny you access to events on provision of reasonable notice. You have been previously, or are at any time during the term of this Agreement, made subject to any of the orders or convicted of any of the offences referred to above. If any of the events set out above occurs in relation to you then you will not be entitled to any refund of monies paid and you shall not attempt to use the services or rejoin as a member. In addition, should we, in our sole discretion and upon further investigation, have any reason to believe that any complaints are of a serious nature (which may include allegations of any offences described above), we reserve the right to submit our findings to the police. This agreement continues for so long as you are a member. The content may include facts, views, opinions, advice and recommendations. These views, opinions, advice and recommendations are not endorsed by us and, to the maximum extent permitted by law, we shall not be liable on account of the accuracy, defamatory nature, completeness, timeliness or otherwise of the content provided on the website. The Website may contain errors and, from time to time, may not be accessible by users or members. The content provided on the website by us is intended as information only and does not constitute advice. Therefore, it must not be relied on to assist in making or refraining from making a decision, or to assist in deciding on a course of action. We are not responsible for injuries arising out of the use of alcohol or drugs. All notices given by you to us must be given to Soiree Society at info@soireesocietyni.co.uk. We may give notice to you at the e-mail address you provide to us when registering for our services In proving the service of any notice, it will be sufficient to prove, in the case of an e-mail, that such e-mail was sent to the specified e-mail address of the addressee. We may alter or amend this Agreement by giving reasonable notice. By continuing to use the services after expiry of the notice period, you will be deemed to have accepted any amendment to this agreement. If, on receipt of such notice, you wish to terminate your agreement with us you may do so by giving us not less than seven (7) days’ notice, such termination to take effect on the date upon which the amended agreement would otherwise have come into effect.